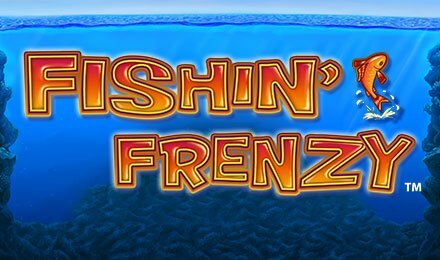 Fishin’ Frenzy slot is a 5 reel and 10 payline slot game, that is themed under the blue waters of a calm sea or pond. The bright blue background represents the waters, where you could reel in the most exciting wins! Symbols you will come across while throwing out your bait are; Pelicans, Fishing Rods, Pelicans, Fishing Rods, Bait, Lifebuoy, Blue Fish, A, K, J, Q and 10. If you’re ready for great gaming experience, you can launch this game at the best online casino- Moon Games! To start playing Fishin’ Frenzy, set your stakes using the Change Bet button. With the Change Lines button, select the amount of paylines you would like to bet on! Once done, click on the Start button you kick off your gameplay! Amount of Paylines Selection: Choose between 1 to 10 paylines as they are adjustable. Coin Values: Coin values range from the lowest amount of £0.01 to the highest amount of £1.00. The wild symbol takes form of the Fisherman, which substitutes for all other symbols bar the scatter symbol. The scatter symbol is the Fishing Boat, which triggers the Free Spins Feature of the game. Line up three, four or five scatter symbols anywhere on the reels and receive 10, 15 or 20 free spins to put to play correspondingly. While the feature is in play, the Fisherman appears in sync with the fish. He then catches them and collect the prize money in accordance with their size.